We can provide you with technical support in a number of ways. If you are experiencing any hardware or software issue, please fill out our Help Desk Form so that we can follow up with you regarding the issue. The Bellus3D Face Camera Pro is the industry's most affordable, advanced high-resolution face camera on the market. The camera is an add-on accessory for Android smartphones and Android tablets. STEP 1: Connect the FCP camera to one of the supported Android devices. STEP 3: Attach the FCP camera clip to your Android device directly and remove any device case or cover that may alter the camera's angle or height. Make sure the FCP camera clip does NOT cover the device's front camera (slide the clip if necessary so that the front camera is between the clip legs). ** If you are having disconnection issues with the FCP camera, you should NOT check "Use by default for this USB device". See this document for more details. STEP 5: Make sure the Android device that the camera is attached to is fully charged and has at least 4GB of memory and 5GB of storage space. The camera and the app may not function properly if the battery power is too low or the device does not have sufficient memory or storage space. Other devices MAY work, but have not been tested. Android 8 is not supported yet. ** Simultaneous Charging. If you need to charge the host device while the Face Camera Pro is connected (for example when using it in a kiosk), we suggest you consider Samsung Galaxy Tab S3, which has a USB Type-C connector. You will need to purchase a powered USB hub that allows you to connect the Face Camera Pro and charge the tablet at the same time. The hub is available on Amazon. PLEASE NOTE: The Face Camera Pro comes with a USB Type C male connector. Older devices like the Huawei MediaTab M3 use the USB Micro connector. 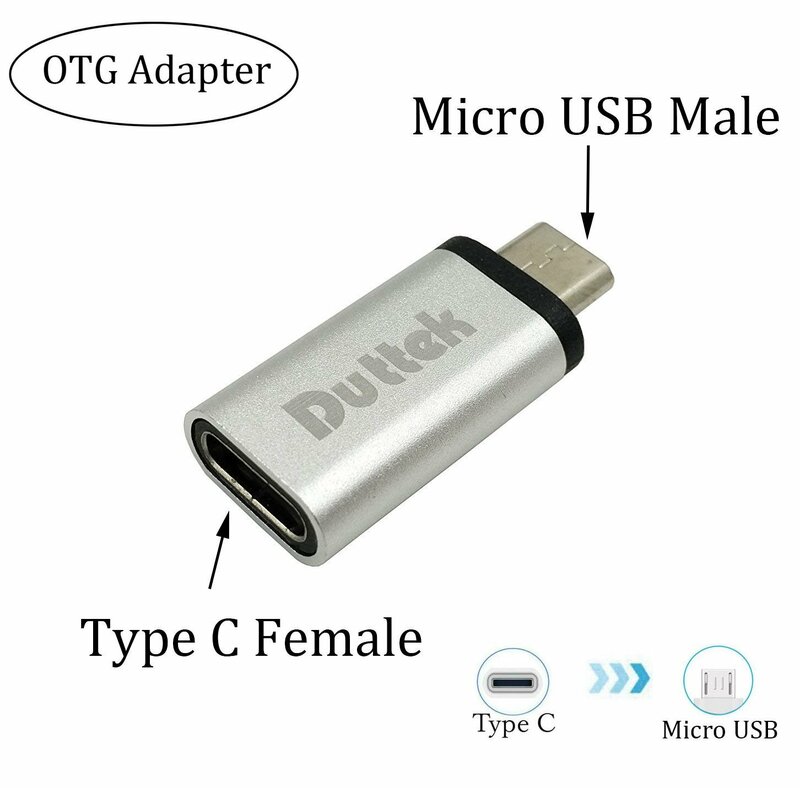 For these devices you will need to use a USB Type C Female OTG to USB Micro Male Converter Adaptor. These are available on Amazon or you may purchase from Bellus3D at the time you purchase your camera. Apple devices are not supported yet. Watch the tutorial videos in the app. Position the FCP so that it points roughly at the tip of your nose and your head should be in a vertical orientation. The Android device should tilt up slightly toward you as in the diagram. The FCP should be roughly 30-40 cm away from your face. Remove any eyewear, caps, and tie long or loose hair to the back. Your face should be evenly lit from the front. Avoid strong back lights, side lights, bright walls, or windows behind or to the side of your face during scanning. Poor lighting will affect the color image quality and may cause the scan to fail. Keep your gaze straight and not at the screen while you turn your head. Turn your head fully to one side before turning back. Turn your head only and not your whole body. Turn your head at a constant and slow pace (about 20 degrees per second). Keep the same expression during the scanning and avoid abrupt motions. If your scanned models consistently have rough or noisy surfaces, your camera may be out of calibration. You can turn on "Camera Calibration" in the app's Settings menu to recalibrate the camera. Bellus3D, the Bellus3D logo, DepthShape, and PhotoShape are trademarks of Bellus3D, Inc.
© 2018 Bellus3D, Inc. All rights reserved.